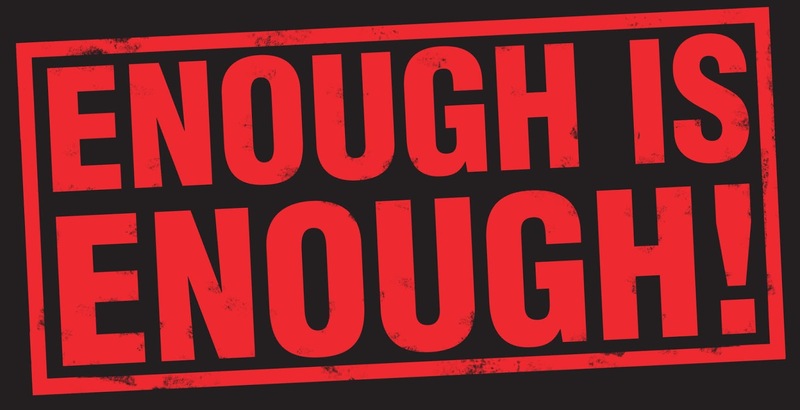 Enough is enough...it seems Antifa, Black Lives Matter, the New Black Panthers, and the Nation of Islam...black hate groups all...are always being heralded by the media and leftist propagandists as truth tellers, but dare some white folks stand up to protest the removing of symbols representing the south and the media becomes like sharks on the prowl for a blood-drenched meal...and in this case the meal is of the white and Republican kind. A media generated feeding frenzy of hate and lopsided news coverage for when whites dare to think or heaven forbid to actually behave badly their actions relegate even the possibility of nuclear war to second tier coverage. But when blacks behave badly... including murdering police officers in cold blood...there is barely any coverage at all...or if there is coverage it is always twisted into being the fault of white people because blacks were slaves in days now long gone. And know that this latest outbreak of violent outrage against believed to be white racists has been cleverly crafted and staged replete with bought-and-paid-for outside the area agitators financed and bused in by George Soros and initiated in planning by the 'shadow government' of Barack HUSSEIN Obama. Need proof... Obama's silence says it all for normally when rioting occurs or blacks behave badly he is the first one to twist everything into 'whitey's fault. A calculatingly conniving racial divider Obama has set race relations back decades...and this one man has caused more damage to this country then even the peanut farmer from Georgia ever did. 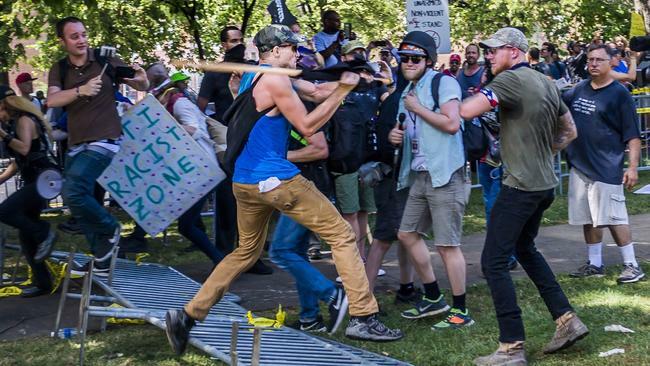 And while in no way do I support the agenda or beliefs of what the media is calling 'white nationalists' and/or 'white supremacists,' I do support their First Amendment right to say what they say and to gather where they gather...to protest as long as they do so peacefully and with all the needed permits in place. 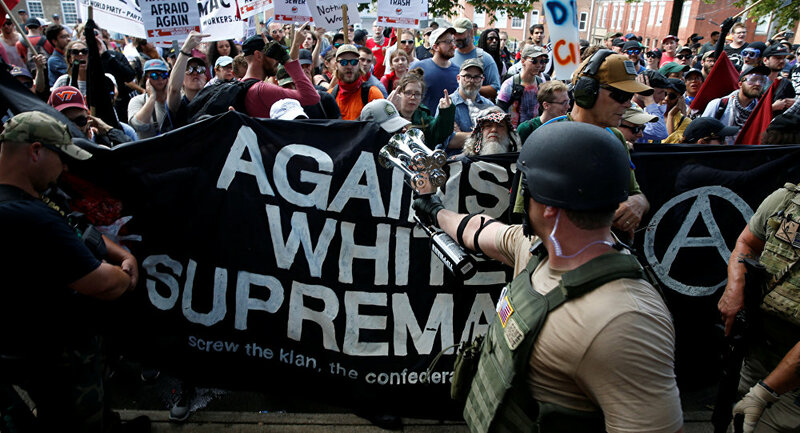 And those white folks protesting in Charlottesville, Virginia last weekend went through all the required legal processes to hold their 'Unite the Right' rally with corresponding march...permits to gather on said date...permits to protest at the place where they gathered...and permits to march through a designated area of the city...permits approved with all the 'i's' dotted and all the 't's' crossed...no matter that the mayor of Charlottesville, Michael Stigner, tried to pull those approved permits numerous times resulting in a federal judge overruling him putting all said permits back in place. But does the media report any of this...no...of course they do not...nor do they...Fox News included...report on the fact that the protest rally was peaceful by all accounts until the said bought-and-paid for Antifa and Black Lives Matter instigators showed up as witnessed by these very words spoken by but one of many not involved in the protest yet who were interviewed on local TV. “The rally was peaceful until the Antifa and Black Lives Matter crew showed up and threw balloons filled with urine and feces on the crowd. They also pepper sprayed the peaceful demonstrators and pelted them with bottles and bricks. Also, the Charlottesville police were given a "stand down order" by the mayor of Charlottesville. Sound familiar?" Sure does sound familiar...shades of Ferguson and Dallas come to mind. 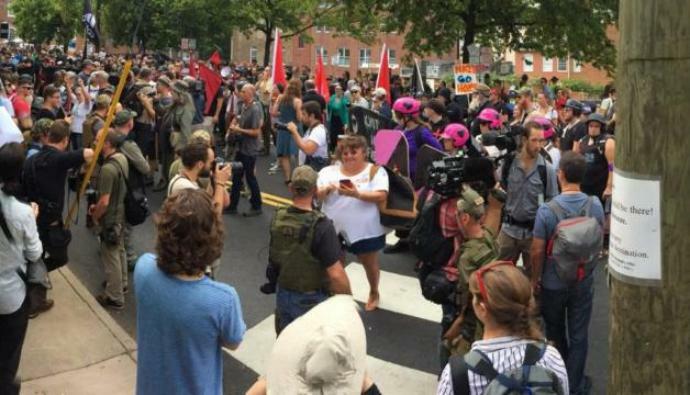 Not hiding behind masks or scarfs wrapped to cover their faces, the 'Unite the Right' protesters showed the world who they were and while the actions of one...political terrorist 20-year old James Alex Fields of Ohio who deliberately drove his car right into a crowd of counter-protesters killing 32-year old counter-protester Heather Heyer and injuring 19 others...the protesters felt they had nothing to hide and wanted all to know that they were fed-up with how those in positions of political power always seem to cave to the demands of a certain minority...a minority who make up but 13% of our nation's populace yet hold the rest of us hostage...instead of protecting the rights of the majority. Using Civil War symbols of an American deep south now relegated to the pages of history as their touchpoint...and know that what is relegated to history cannot be changed nor erased no matter the efforts of some trying to do so... no matter how many countless statues or monuments are destroyed, taken or pulled down, or even relocated...what started off as a peaceful protest and march against both the removing of a statue of Confederate Gen. Robert E. Lee from Lee Park (where it stood uncontested since 1924...until Donald Trump became president that is) and then renaming the park Emancipation Park, along with what the white protesters perceive as the forcing down our throats of 'collective guilt' for slavery's long gone past...the protests turned ugly when the above said bused-in, bought-and-paid-for agitators descended upon the area with their marching order objectives of not only to disrupt the protest but to send the city into a downward spiral of chaos, vandalism, fires, and of course blood. And they accomplished their objective tenfold...and did so via a media rooting for them. Remember that not only is racism and riots a ratings booster, it also allows those in high places who relish not only in hate but whose main objective is to line their own pockets, to keep pushing forward an agenda that for the eight long years of Obama served them and their bank accounts ever so well. 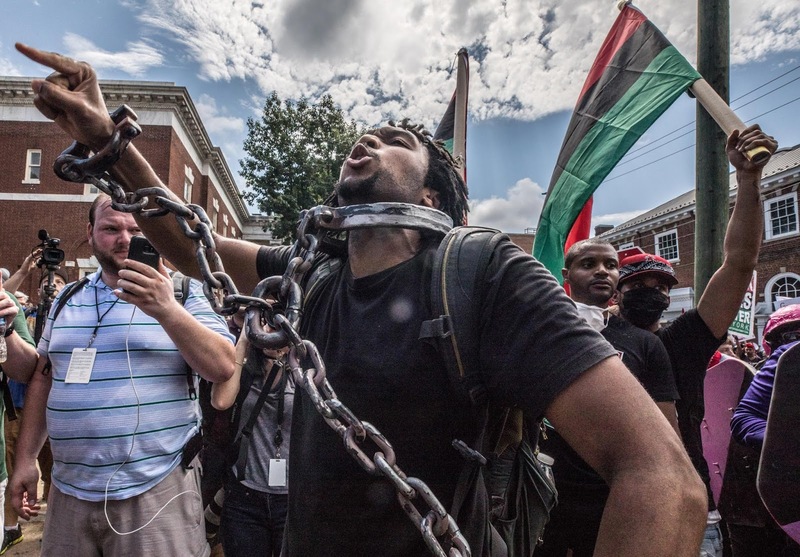 But what certain black folks still do not get is that their actions are not only being manipulated but are misguided as well, because if truth be told real 'so-called' white nationalists are no different than real 'so-called' black nationalists...people of different colors both sharing pride in their own kind. The only difference is that 'real' white nationalists were not birthed by rich white Republican men as blacks have been indoctrinated into believing, but by none other than the very Democrats they have tied their votes to for all the free stuff they get in return while losing the much-needed drive to better themselves and assure that their children's future is better than their collective past. Now it must be understood that true nationalist groups are different than the likes of, for example, the Klu Klux Klan, who are true haters. 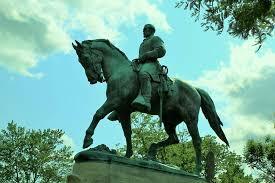 Founded on December 24, 1865, by former Confederate soldiers with many being former slave owners and Democrats all...Democrats who when the Civil War ended...when slavery became illegal...resented not only losing their slaves but also that victorious Union Republican soldiers were escorting newly freed black men to the polls. It was this resentment that led these southern Democrats to relegate the now freed black men and women into becoming second class citizens as they would not surrender their belief in white supremacy. And it was this belief that led them to threaten...while playing 'dress-up' in white hoods and robes...freed black men (women did not yet have the vote) to either vote Democrat or to not vote at all. And those blacks who refused their demands were beaten, whipped, saw their homes burnt to the ground with black farmers driven off their land, and sometimes even hung. 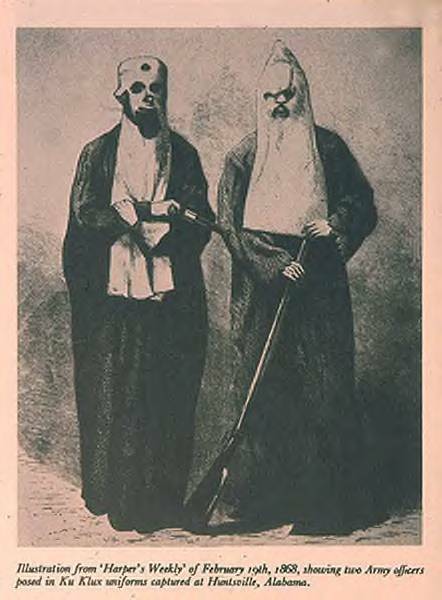 And any southern white who opposed these black haters met the same fate as the blacks they protected. And so through intimidation and threats the black south became solidly Democratic for generations to come complete with the perceived mindset of blacks being second class citizens remaining intact. And while southern states are now turning red, white Democrats of a century ago were successful in setting the stage for blacks to be beholden to the government for their very existence...an existence now being seen as an existence butting up against a dead end while being driven ever forward by an all-consuming hate for anybody white. So while instead of seeing their true enemy...as in the Democrats who have held them down all these many years...the blacks of today's hate group notoriety instead turn their hate towards any and all whites who do not tow the still Democratic party line of giving them their self-perceived 'entitled to' free stuff as well as passes for any and all indiscretions taken. 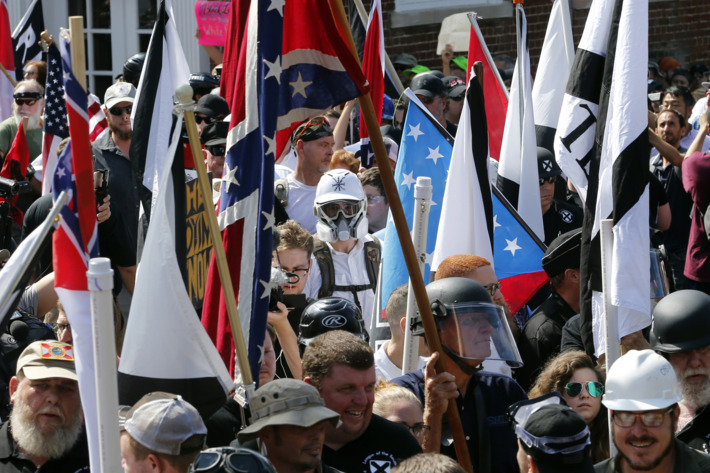 And while a faction of neo-Nazi's were part of the happenings in Charlottesville, one must remember that the neo-Nazi's hate everybody pretty equally...blacks, Jews, Catholics, Hispanics, immigrants, and gays...any and all...including whites...who do not adhere to the rhetoric of their hero Adolph Hitler. White supremacy is their driving force but it is white supremacy on their terms alone for like Hitler they are the judge and jury of who is and who is not white enough. They differ greatly from 'so-called' white nationalists who are but the vanilla version of the chocolate nationalists. But at the core of all this hate is these two emotionally charged words...white supremacy. Words defining actions of hate actually committed by those on both sides of what is really the political spectrum...both sides who relish in acting with a mob mentality...a mentality whose goal is to cause as much mayhem, destruction, and violence as they possibly can...with one side knowing they will most likely get off scot-free and with the other side believing that only vigilantly justice will call the others to task. 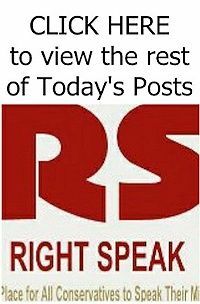 So who is right and who is wrong regarding the happenings in Charlottesville? 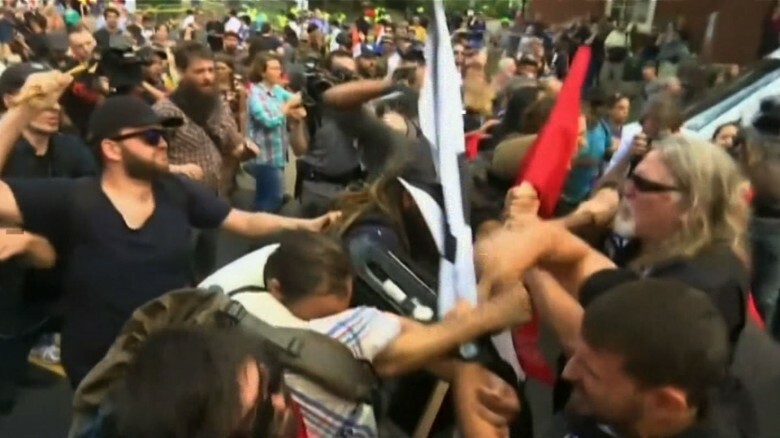 If independent videos of the day's events now surfacing are correct...and you can see the Antifa crowd starting the violence with your own eyes here: https://www.youtube.com/watch?v=0s8R_cGgvFY and you can see and hear the organizer of the rally's words here: https://www.youtube.com/watch?v=4AOx7NMbMkU...then the truth about who started the violence...whether some like it or not...lies with the bused-in agitators and their leftist agenda accomplished. “No one is to blame except for the white supremacist who decided to drive a vehicle through a crowd full of people. 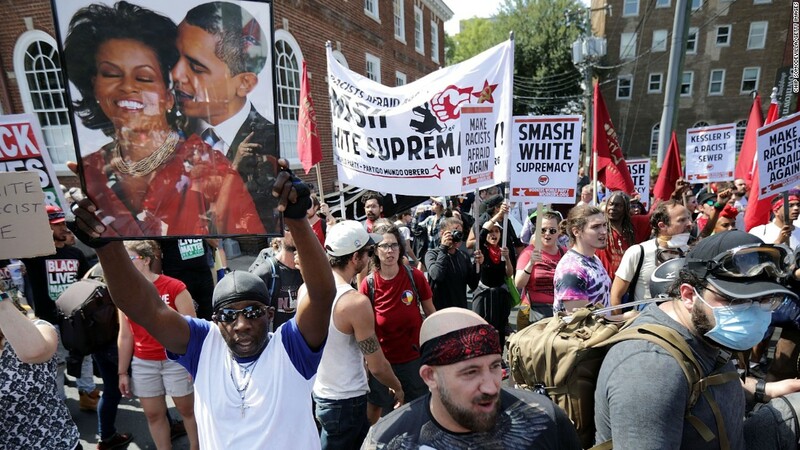 No one invited these white supremacists to come to our community,” said Charlottesville Vice Mayor Wes Bellamy. 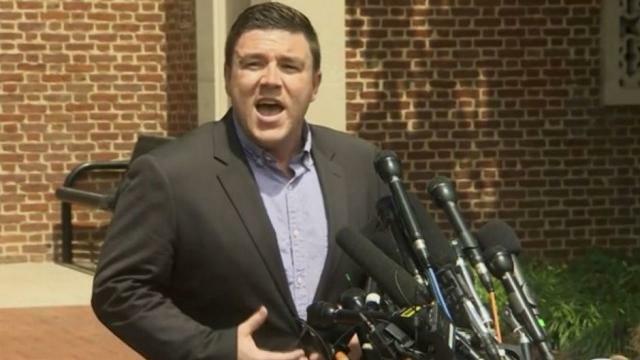 However, some reports are now surfacing that Jason Kessler, a native and resident of Charlottesville, the protest organizer and a man who once worked for CNN, might not be what he seems to be as claims are being made that he was an Obama supporter, member of the Occupy Movement, and only became tied into white supremacy groups after Trump won the presidency. And while I do not know if the said allegations are true or if the Southern Poverty Center, of which he supposedly was part of, is now trying to distance themselves from him, I do know that even if all is true none of it contradicts what Kessler states in the video as his words do match the public records of his applying for the needed permits and needed paperwork... paperwork he started back in February immediately after the vote to have the Gen. Robert E. Lee statue removed was taken. 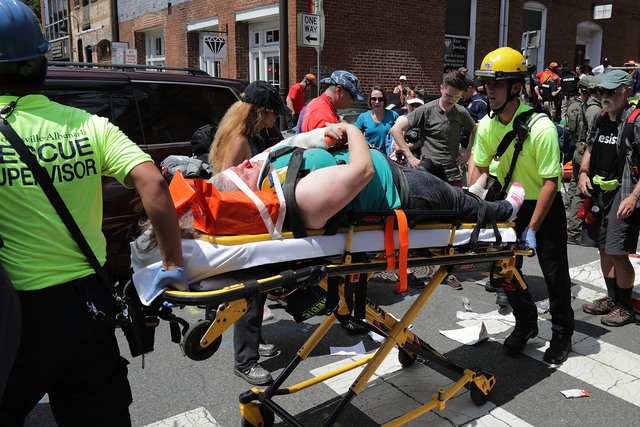 But if all is true that Jason Kessler, once a liberal suddenly went alt-right, it does give a modicum of credence to what many suspect...myself included...that this whole event was staged by the left to incite the alt-right into violent action. And it is also possible that Kessler himself is but a Democratic operative who set this all up months ago and used the gathering of the needed permits and such as cover to seem legit. So if the media talking heads are wrong...as they are more times than not...and while I personally find the white supremacists themselves, their agenda, and what they stand for both vile and reprehensible...the fact remains that they did have the Constitutionally given right to protest and march...with permits and paperwork in place to do so. Remember, no problems or violence took place until the Soros funded, Obama initiated cop-killers known as Black Lives Matter and their cohorts Antifa showed up. And while the media was quick to condemn and place blame solely upon the whites protesting, President Trump immediately issued words chastising all hate groups. Using strong and sincere words spoken from his heart to the affect that the haters "on many sides" must be called to task, Trump was correct in not only what he said, but in how and when he spoke those words. Unfortunately, our president's words were attacked by the left almost immediately upon his saying them, and at first glance it seemed President Trump would now be forced to capitulate to the ugliness that is political correctness for not specifically naming white supremacist groups in his remarks. And when this past Monday, the man I voted for and support...seemed...with 'seemed' being the operative word...to have caved as he went on national television to, by name, call out the Klu Klux Klan, the neo-Nazi's, and white supremacists of all kind, yet the words Antifa, Black Lives Matter, the New Black Panthers, or the Nation of Islam, never crossed his lips. But did President Trump really cave...no...for on Tuesday while during a televised press conference addressing infrastructure repairs stated there is “shared blame” on both sides...including the alt-left who came to the rally “to hurt someone and came charging with clubs in their hands” against those peacefully protesting. And then on Hannity's radio show later the same day our president called out the 'fake news' media and the liberal left when he said...“This week it was Robert E. Lee...will it be George Washington next week...will it be Thomas Jefferson the week after...” referencing the alt-left haters and their enablers who are trying to rewrite American history to fit their progressive agenda. 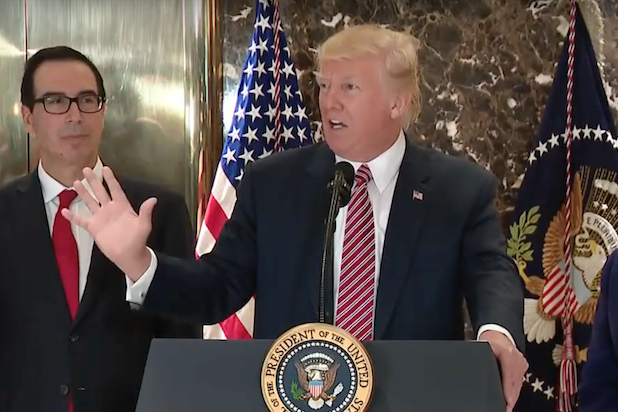 Standing strong, President Trump clearly stated that changing our nation's history was not going to happen on his watch. And dare we forget that slavery is just one small part of American history...it is not what defines American history...so leave America's history...both the good and the bad...alone. So while all these hate groups...both black and white...are vile in their conception, rhetoric, and murderous intentions...let it be known that we now have a president who knows the ugly truth about the lies they spew and will take actions accordingly to set right their wrongs. And all I can say is 'haters beware' for your time in the limelight is up courtesy of the very man you still refuse to both accept and honor as President of these United States. 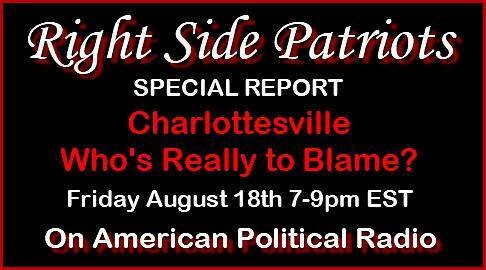 Today, Friday, August 18th from 7 to 9pm on American Political Radio, RIGHT SIDE PATRIOTS Craig Andresen and Diane Sori present a Special Report: Charlottesville...Who's Really to Blame, and other important news of the day.